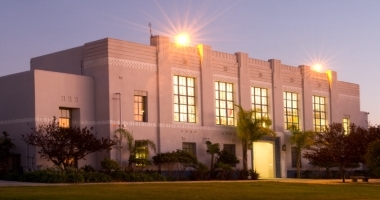 The Venice High School Scholarship Program stands as a lasting tribute to many generous people, organizations and businesses who have made supporting our students in their quest of higher education a priority. Kathy began teaching at Venice in 1963 and retired in 2000. Technically she taught until 2001 for LAUSD because she was invited to teach at UCLA during the academic year 2000-2001. She taught math and introduced Discrete Math to the curriculum during the 90’s. She had breaks in her career for child care and one year as Math Plus coordinator for the Los Angeles Educational Partnership. She was assistant athletic director for a short time during the 1980’s. The scholarship began with her mother's passing in 1996 when friends and family gave donations to the Alumni Association along with a generous donation from the Parthians of S'58. She had a preference for students interested in teaching math but didn't want it to be limited to math only because she wanted it to be based primarily on financial need. When she passed away, once again friends, family and the Parthians donated to the scholarship and it became the Velma Ott Smith/Kathy Blackwood Scholarship. In summary, she spent over thirty years at Venice High as a math teacher which had always been her dream. A Pine Tree is planted near her classroom that was in the East Building. A teacher at VHS for 33 years, 1966 – 2001. Grant taught stage crew, wood shop, leadership and life skills. The fund was established Nov. 1991 as a surprise for his 50th birthday. The scholarship guideline is for a student with at least 20 credits in the Performing Arts Department (stage crew, if available), enrolling in an entertainment/communication major at an accredited college. Secondary requirement, outstanding member of the Leadership Class, Industrial Arts, or Art department - specializing in video production. Established by Paul’s wife, Jane, and his family and friends in 2007. Paul graduated VHS 1940, he attended Santa Monica City College, enlisted in U.S. Marine Corps, served in the Pacific Theater during WWII. 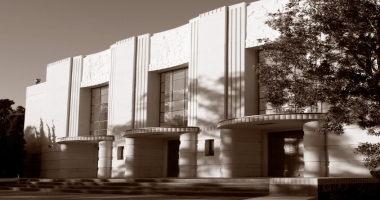 After WWII, he enrolled at University of Southern California and graduated with bachelor and master degrees. A gifted administrator and leader, he embarked on a career in education, as a Mathematics teacher and coach. 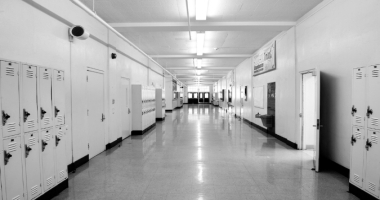 He served in a number of administrative capacities in LAUSD, including as Principal of VHS for three years, 1970-1973. He retired in 1987. Paul died in 2006 and was laid to rest in Arlington National Cemetery. Established in 2006, by Scott’s parents, Penny and Art. Scott was born in 1986 with a congenital heart defect but never let that dampen his commitment to helping others. He was the American Heart Association’s youth ambassador and raised $14,000 in donations during the West Los Angeles Heart Walks in the final three years of his life. His charity didn’t stop there. Scott tutored children in English and Science, raised money for Camp del Corazon, a free camp for children with heart disease and with two friends, ran the nonprofit Komputers4Kids to provide donated computers to children leaving foster care for college. Shortly before he died, in 2003, Scott was given an Outstanding Youth Volunteer Award by the National Association of Fundraising Professionals, and he was awarded his Eagle Scout. Scott Edward Antolick died on October 17, 2003, shortly after he turned 17 years old. Scott was a Senior at Venice High School and was a Valedictorian Candidate. Because of all his AP credits, he had enough credits to graduate with his class and was awarded his diploma posthumously in June, 2004. On the day he died, Scott and his friends were playing Ultimate Frisbee after school on the front lawn of Venice High School. As he was running to catch a pass, he collapsed from a heart arrhythmia. He died shortly thereafter at the hospital. In Scott’s memory, the PTA of VHS planted an olive tree, donated by Beth Shir Shalom Temple, on the front lawn. (A Hong Kong orchid tree was planted in Scott’s memory on the campus of Mar Vista Elementary School).Scott Antolick –parents Art and Penny have set this up to continue into perpetuity. This scholarship is for a VHS Senior with a financial need who wants to make a difference as shown by his/her drive to do well even through less than ideal circumstances and who has Scott’s spirit of giving and helping others. Joan taught AP English, ESL and Basic English for over 23 years at VHS 1969 – 1993. She retired and moved to Honolulu and continued substitute teaching till the age of 79. The scholarship direction is for a student that comes from an economically disadvantaged background interested in pursuing a higher education. Established in 2012, by the family, after her passing Oct. 30, 2011, from Lung Cancer. Preference given to a student who is the first one in his immediate family that is attending college, but not mandatory. Lois was born in Nebraska and came to Venice High School in the 11th grade. She graduated W’37. She took shorthand and business classes at Venice and continued in college. She worked for the telephone company in Venice for many years. She and her husband retired in Paradise, CA. Lois passed in 1993. The fund started in 1994, with money from her estate. There is also a scholarship set up in her name at her school in Nebraska. The scholarship direction is for a student who has completed the Business Education curriculum at VHS and will be pursuing higher education in a business-related program. In addition the recipient shall be of good moral character and have a financial need. The scholarship is for a college bound student active in the arts (photography, art, music, performing arts) or creative writing. Bill was a U.S. Marine and had a tour in Korea. After the Korean conflict ended he came back to MCRD as a Drill Instructor where he finished his tour. Bill graduated UCLA with a teaching credential and began teaching P.E. and Science. After three years a Palms Jr. High, he transferred to Venice High in 1966 were he stayed until retirement in 1995. At Venice, Bill met his wife Wendy, also a teacher, they were married for 40 years. Bill coached C Basketball, JV Baseball, B and Varsity Football as well as the Band. He taught U.S. History, U.S. Government and Health. It didn’t matter the subject or sport he taught, he did everything well and the students loved him. Coach Fairbanks was one of the founding members for the Gondo Golf tournament. Raising over $10,000 for the high school as of 2014. In 2013 the golf event was named Coach Bill Fairbanks Gondo Golf Classic, in his honor. Coach passed away April 2013. The direction of the scholarship is for an athlete – possibly one who has overcome personal adversities. For a student (s) planning to pursue a career as a teacher. Michael taught Mathematics. He was the Department Chair 1949 – 1984. In recognition of his long tenure as a VHS teacher and his continuing support of both the school and Alumni Association., the VHSAA. Board of Directors established the Michael Pomerantz Scholarship. 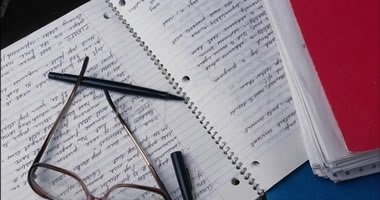 The scholarship is for a student planning to pursue a career in education. Taught Music – Crescendos, Jazz Band, Marching Band 1960-1977, retired to Hawaii. For a student that has participated in the music program and who may wishing to continue in the field. Direction of scholarship – Business, Administration, Teaching. Joe had many dreams; he was a friend to everyone he knew, he helped others willingly, and he hoped to make this world a better place. 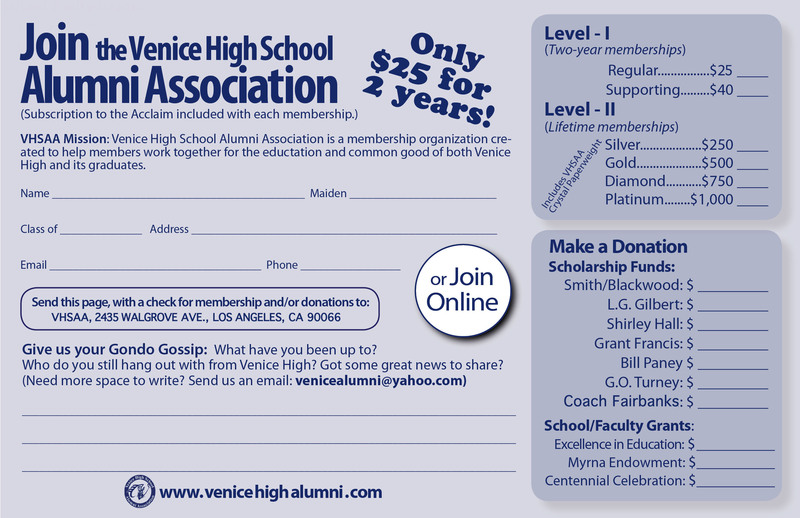 Through this fund, we can help other inspiring Venice High students achieve their dreams in his memory, for many years to come. BARBARA KOMATSU taught AP Calculus and Math for 22 years. She was the sponsor of the Chatelaines and Esquires and helped to open the Foreign Language and International Studies Program, as well as the “Friends of Venice Magnet”. This scholarship will be given yearly as a way to remember Barbara and help get our kids to college! Not all of the scholarships are Memorials, many are General Scholarships. Based on financial need, school and community involvement. Selected from their personal statement, essay and application. Established in 2019 by former head baseball coaches Artie Harris, Tim Alcantar and Jeff Shimizu. The foundation of this scholarship is to honor former VHS Varsity Baseball student athletes who have passed away. This annual scholarship will be awarded to a senior baseball player planning to attend college who demonstrates strong citizenship and community service, minimum 2.4 GPA. 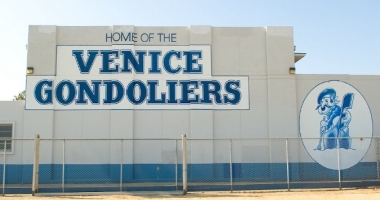 Venice High School has a strong tradition of a successful program with several City and Western League Championships. Various former players have gone on to play in college and professional baseball. Make a gift bequest in your will or Family Living Trust for the benefit of VHSAA Scholarship Fund. For more information about the VHSAAA Scholarship Program, including how to join the Committee, please contact Laura Ferre ('76) Email Laura. Read an interview with John that explains how the VHSAA Scholarship Fund is managed here.